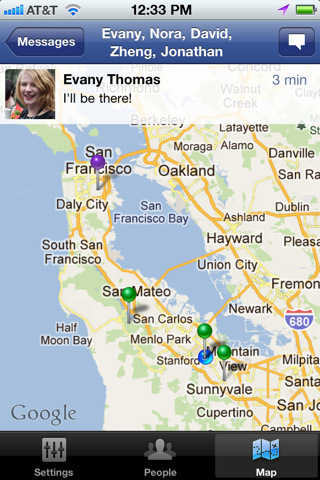 Having trouble finding Facebook Messenger? See the updates at the foot of this post. 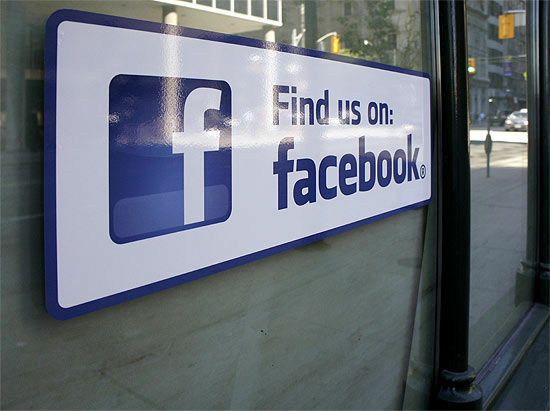 If you’ve used Facebook’s apps for iOS or Android then you’ve already experienced the frustration with trying to get to your messages inside of the fairly robust, full Facebook application. 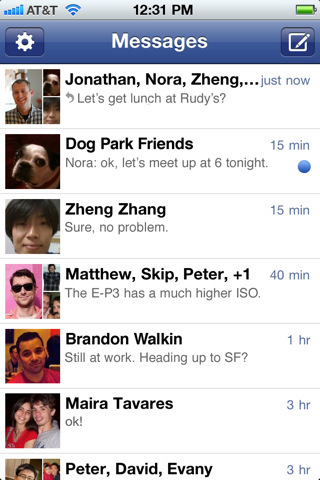 But if you just want the ability to message your Facebook friends easily, now there’s Messenger. 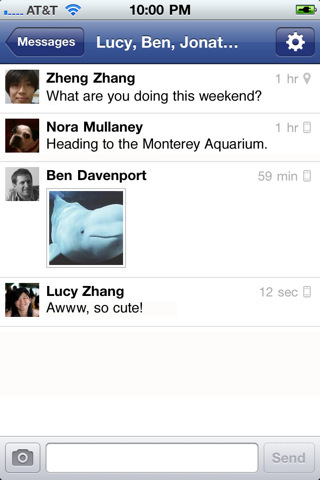 Messenger is going to look very familiar if you’ve used Beluga, the group messaging application that Facebook acquired in March of this year. There’s a simplified list that lets you pick who you want to message, send them pictures and even broadcast your location. Of course push notifications are supported, too. Rumor has it that Beluga will keep its doors open, but there’s no telling for how long. Now that Facebook has derived Messenger from its acquisition, it’s highly unlikely that the company will continue support for the other product. There’s not a lot else to be said for the app, other than for you to get downloading and see if it’s going to be useful for you. 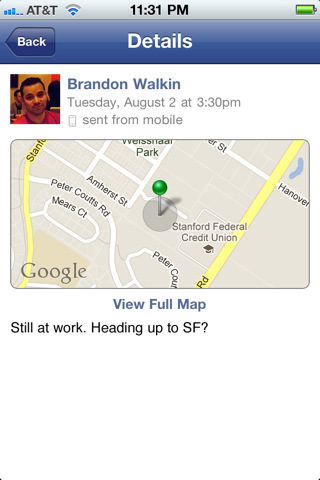 If you’re a big fan of Facebook’s integrated messaging platform, it should be great. If you loathe having to log in, well, no app’s going to fix that problem. The one very interesting part? 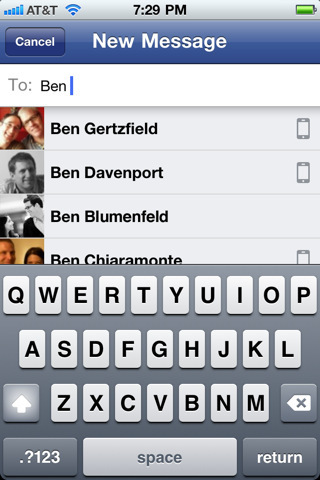 You can use Messenger to contact anyone in your phone’s contact list, not just your Facebook friends. Grab Facebook Messenger for iOS or for Android and let us know your thoughts. The above links for iOS and Android both work for those of you in the US. We’re seeing reports, though, that they are not working in some other countries though we don’t yet have a specific list. If they don’t work for you, please let us know in the comments.